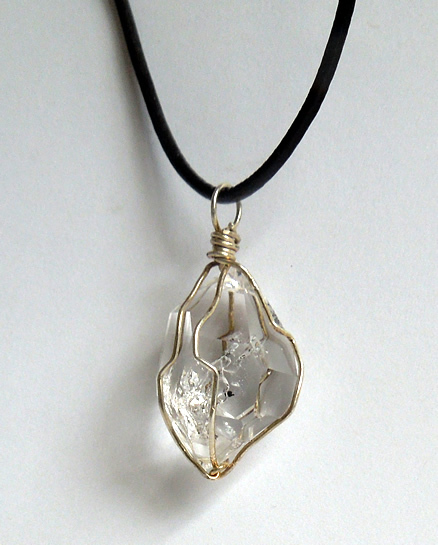 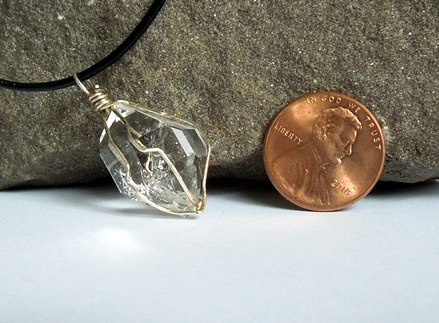 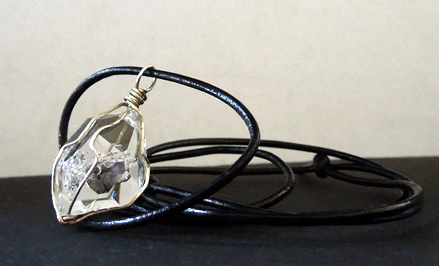 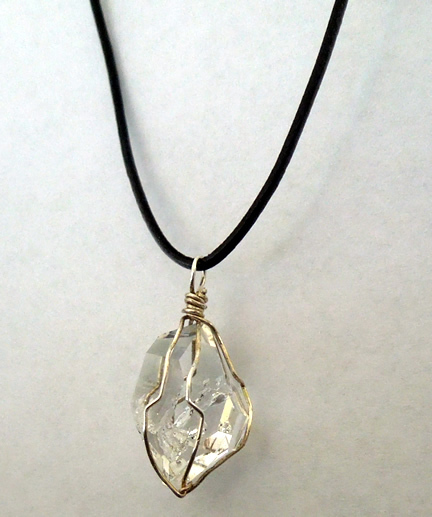 A raw Herkimer Diamond is wrapped in sterling silver and hangs from an adjustable black cord. 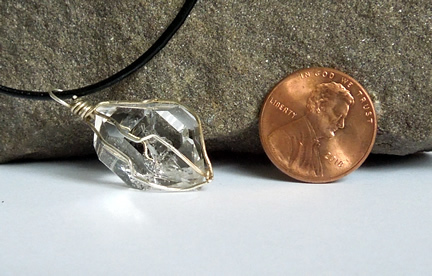 Double terminated with 18 natural facets it measures 22.5x16x12 mm / 22+ ct. 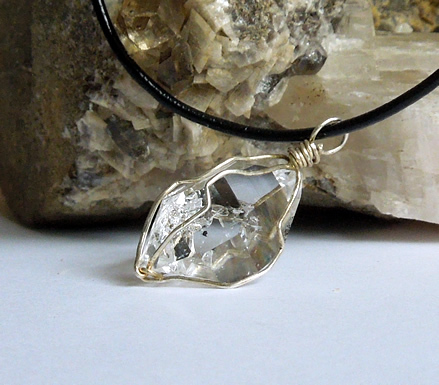 Minimal internal inclusions add interest and authenticity to this very clear and sparkly Herkimer Diamond. 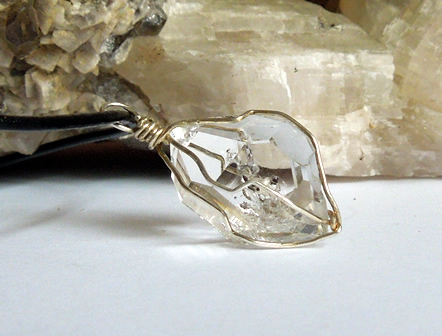 As diamonds are April's birthstone, a Herkimer Diamond could be considered April's Natural Birthstone !